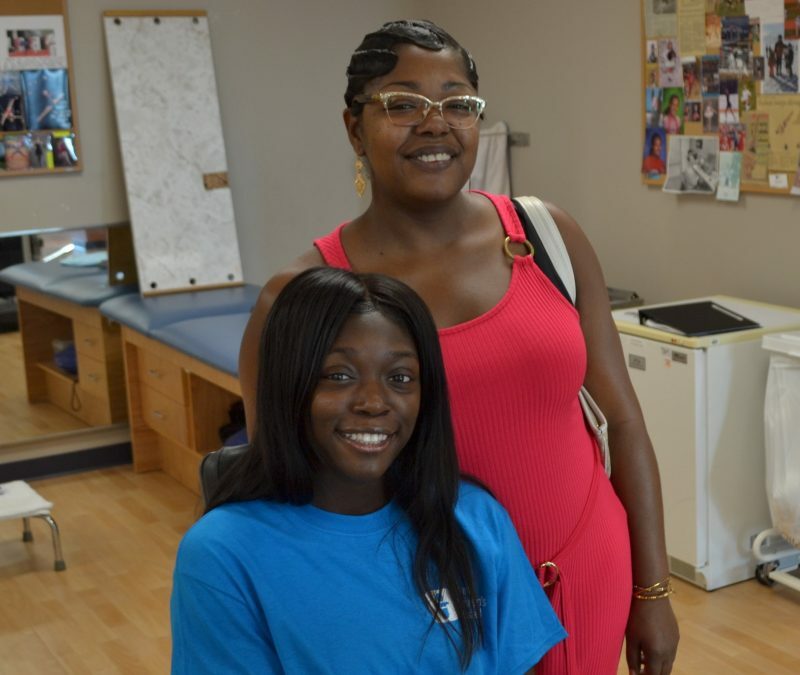 Rayannah “Ray” Torrence – with her mom, Carmon Lee – is overcoming an injury to chase her dream. It was the spring of 2018. As Rayannah “Ray” Torrence tore up the track for the Buchtel High School 400-meter relay team, she collapsed just steps away from the finish line. Ray tackles every exercise in Sports Rehab with a smile. Ray spent two weeks on crutches in a soft cast and then transitioned to a walking boot. A month after surgery, she started physical therapy in the Akron Children’s Sports Rehabilitation department.